Zinc oxide (ZnO) nanopowders are available as powders and dispersions. These nanoparticles exhibit antibacterial, anti-corrosive, antifungal and UV filtering properties. Some of the synonyms of zinc oxide nanoparticles are oxydatum, zinci oxicum, permanent white, ketozinc and oxozinc. 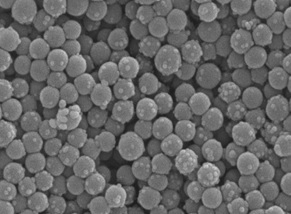 Some of the applications of zinc oxide nanoparticles are given below. •	Zinc oxide is used in the manufacture of rubber and cigarettes (used as a filter). •	Zinc oxide powder is widely used for ointment, lotion and other consumer product. As an additive in the manufacture of concrete. •	Ceramic industry has a number of uses for zinc oxide powder. •	Various paints use zinc oxide as a coating agent.